Although men have long argued that women don’t make good chess players, examining the lives of several late 19th century women chess players demonstrates their substantial accomplishments and points to the historical structural inequities that continue to limit women chess players. Moreover, many of the chess victories of those women do not appear in the databases that continue to inform and train chess competitors, mirroring the sexism and ongoing erasures that women chess players continue to face. Chess Grandmaster Savielly Tarkatower wrote in 1921 that women were incapable of marshaling the ruthlessness necessary to compete, while a 1906 Saturday Review writer claimed that women lacked the requisite “concentration” and “originality” to play well. 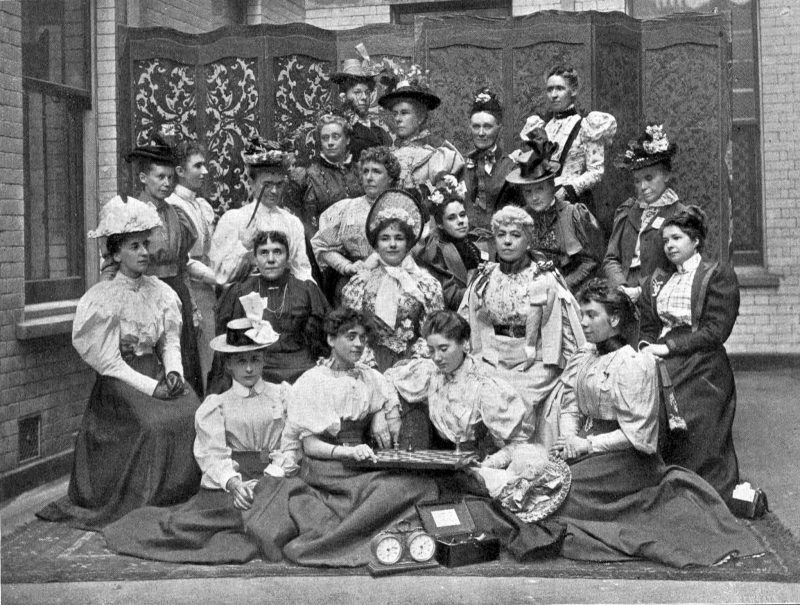 As the modern era of chess emerged in the late 19th century, women were organizing chess clubs and tournaments, but they were marginalized to make room for men. The 1895 Hastings Grand International Chess Congress has been hailed as a hallmark of the period. The top players in the world competed and produced a 368-page book of the tournament games, which they annotated. The volume has been reprinted several times and remains a treasure of chess history, but the introduction reveals a striking omission. The tournament included “a Ladies’ tournament, managed by a Ladies’ Committee … won by Lady Thomas, lady of the manor of Marston.” Yet, none of the women’s games are recorded in the book. The erasure of the women’s tournament, and Lady Thomas’s victory, is not merely a historical curiosity in chess. It is significant precisely because chess depends heavily on the active and ongoing study of the history of its tournaments and matches. In chess, many — but as we’ll see, not all — games played are recorded to form a living history, stored in databases. Starting in the second half of the 20th century, players and companies have built searchable, constantly-updating databases with old and new games. The free chessgames and chessbase sites are widely used by players from the beginner to expert level, while other commercial databases are behind paywalls. Players from beginners to elite Grandmasters regularly consult these databases when preparing for competitions and to hone their technique. In their historical nature and ongoing use, databases shape the narratives around chess, which amplifies the problem of not recording women’s matches and victories. 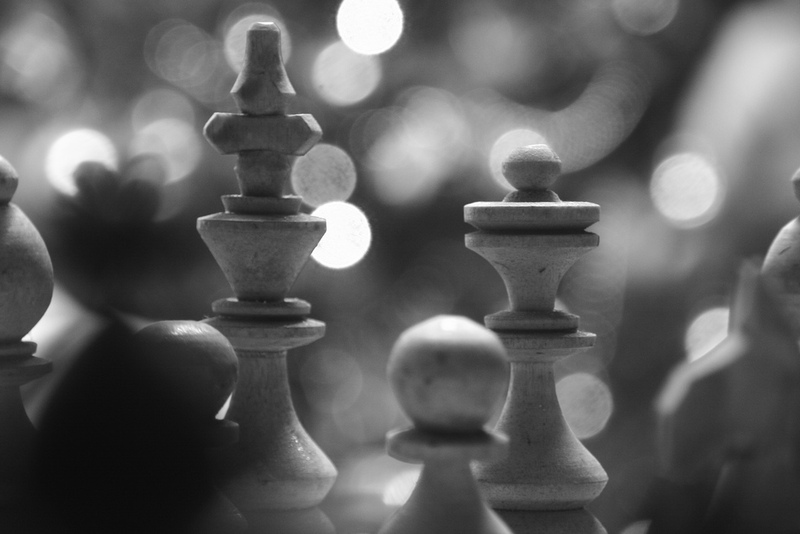 In their historical nature and ongoing use, databases shape the narratives around chess, which amplifies the problem of not recording women’s matches and victories. Lady Edith Margaret Thomas (1853-1920), who won Hastings, had been born into a chess-playing family. Her brother was a student of Wilhelm Steinitz, one of the era’s greats, and she frequently played chess against her also-talented son at their Bedforshire manor. Although she had wealth, her domestic responsibilities meant that she did not have the opportunity to consistently study the game or regularly compete, unlike her similarly affluent male peers. Still, she won Hastings and placed highly in several women’s-only competitions. Despite this, Lady Thomas appears in only one game on the popular chessgames.com database, from the first Women’s International Chess Congress in 1897, which she lost to Mary Rudge, the ultimate champion with a staggering 18 wins, 1 draw, and 0 losses during the six-day tournament. By contrast, Canadian player William Pollock, who finished the Hastings men’s tournament ranked 19th out of 21, has 111 games available on chessgames. We can learn troves about the chess play of dozens of mediocre men players, but we are only afforded scraps about brilliant women. Mary Rudge was the first woman to join the prestigious all-male Bristol Chess Club in 1872, where she played against some of the other luminaries of the time. She achieved many wins, including one against world champion Emanuel Lasker in simultaneous play. Struggling with poverty her whole life, she rarely had time to perfect her skill, but her style was ahead of her time. She favored methodical positional play and controlling a game by domineering space on the board with careful, meticulous moves. The Chessbase database has only 14 of Rudge’s game, all spanning 1890-1898, a fraction of her career, but they show a dynamic player who could dominate her opponents. Also playing at the Women’s Chess Congress (and also beaten by Rudge) was an Italian-British player, Louisa Matilda Fagan (1850-1931). Fagan had a robust intellectual and political life as a member of the Fabian Society, lecturer, and suffrage activist. She first made a name for herself in chess circles by winning a tournament in Bombay. However, as the only woman contestant, she was ultimately disqualified, despite winning all of her games, because the club sponsoring the tournament did not allow women as members. She took the club to court and won. Fagan scored well in numerous tournaments, regardless of the opposition, and took home a £50 brilliancy prize in the London Congress. But only one game of hers, a loss to Mary Rudge, appears in the Chessgames database, and none of her games are found in Chessbase. Contrary to the opinions of Tarkatower and the Saturday Review, neither Fagan, Thomas, or Rudge lacked ruthlessness, concentration, or originality. They demonstrated all of those qualities without the easy access to clubs, colleagues, and teachers that their male chess-playing contemporaries enjoyed, while also being wives and mothers, or being single and politically engaged. Although women like Thomas, Fagan, and Rudge won significant victories and demonstrated a range of styles, women would not earn international chess recognition until the rise of Vera Menchik (1906-1944), widely considered the first woman’s world champion. In her short career, Menchik competed in elite male tournaments, beating many of her opponents, including future American and world champions. Yet Menchik’s chess career was cut short when she was killed in the London Blitz. 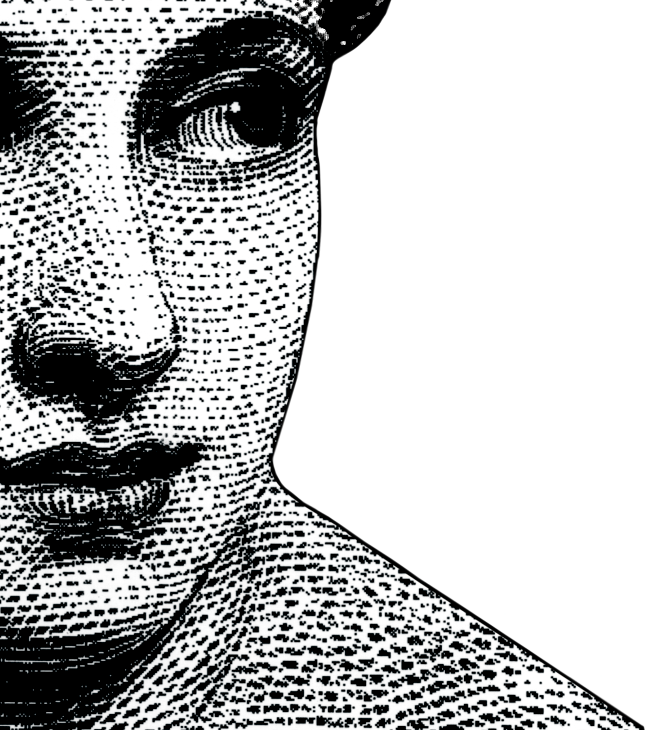 Inheriting a history of inequality means that women today face significant structural and personal barriers to being well-represented in the field. Women continue to be segregated, under-encouraged, and underpaid. While women are allowed to compete alongside men, FIDE, the international organization that regulates chess, gives women separate titles (Woman Grandmaster), separate tournaments, and a separate championship (Women’s World Chess Championship, currently held by Ju Wenjun). Players have little control over their field, as the sub-par facilities and schedule at the 2010 Women’s World Championship or the choice to hold the 2017 world speed chess championship in repressive Saudi Arabia attest. Magnus Carlsen, the men’s 2016 World Chess Champion, took home over ten times more prize money than the 2017 Women’s Champion, Tan Zhongyi. Chess is one of the few sports where women can compete alongside men, as the careers of Judit Polgár and Hou Yifan attest. The only thing keeping them apart is prejudice and tradition. Until women are given the institutional resources to match their male counterparts, chess will remain lodged in an incomplete past and be unable to enter the future.